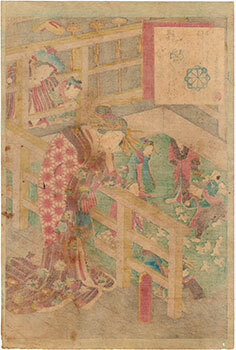 Inside a pleasure house in the Shin Yoshiwara (新吉原) district, a dancer wearing a fox mask, and holding a suzu (鈴) bell tree and a gohei (御幣) magical wand, performs a propitiatory rite for the good business of the oiran (花魁) who surround him and who, in return, throw small paper bundles with cash offers inside. 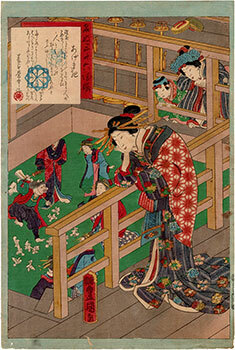 In the foreground the courtesan Agemaki (あげま記) and two young kamuro (禿) assistants. 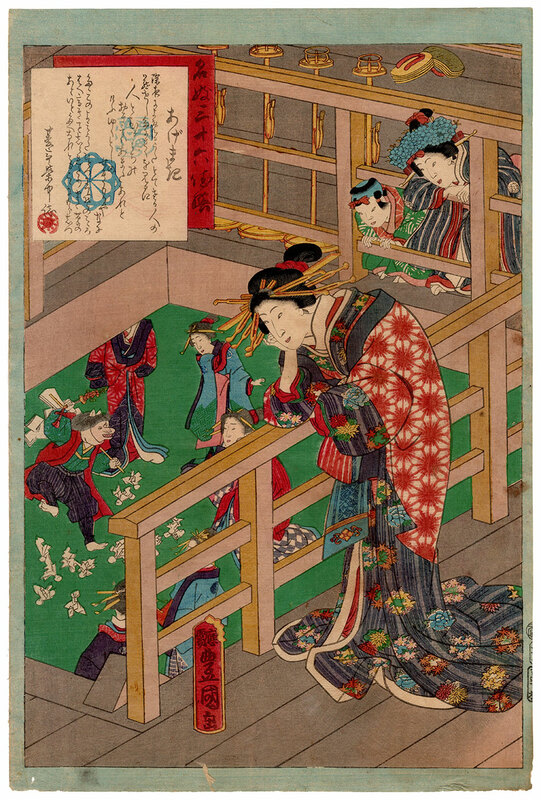 The precious large vertical format woodblock print was made in December 1861 by the artist Utagawa Kunisada (歌川国貞) and is taken from the series "An Excellent Selection of Thirty-six Noted Courtesans" (名妓三十六佳撰). 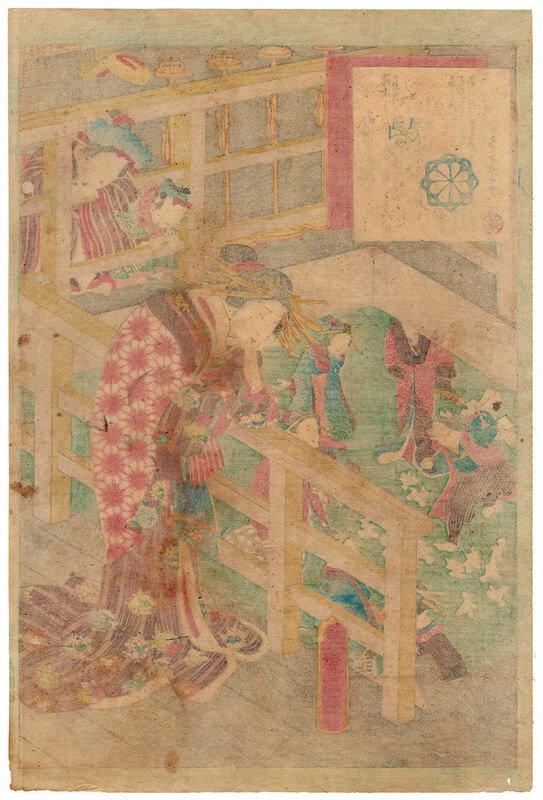 The print on Japanese washi paper (和紙), produced by the publisher Tsutaya Kichizo (蔦屋吉蔵), owner of Koeido (紅英堂), despite the right signs of aging is in very good general condition.